HE the Prime Minister and Minister of Interior Sheikh Abdullah bin Nasser bin Khalifa al-Thani visited yesterday evening the Rain Emergency Room at The Assets Sector that pertains to the Public Works Authority (Ashghal) to closely review all the procedures taken to drain out the accumulated rainwater at the main roads and ease the traffic circulation, what the Ministry of Municipality and Environment and Ashghal are doing to overcome the damages sustained due to the heavy downpour. 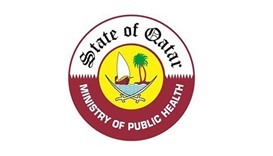 HE the Minister of Ministry of Municipality and Environment Mohamed Abdullah al-Rumaihi stressed that the rains seen in Doha were unprecedented and constitute three times the usual amounts. He said that all the equipment, pumps, sanitary drainage net works and sewage sinks work in a good way but need some time to absorb such huge amounts of water. He pointed out from inside the operation room that the amounts of rainwater is much more than the usual amounts at this time of the year. 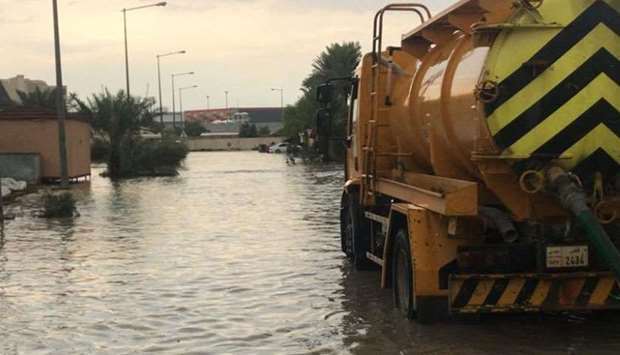 He said that the ministry provided more than 450 vehicles to drain water, and 85 pumps carried on vehicles to support the efforts of draining water from the accumulation places and transport them to the designated areas. He further affirmed that all the main roads and streets would be opened by this morning and will be free from water accumulations. Simultaneously, the vehicles of municipalities are working to drain out water from the byways and internal streets to clear the traffic movement. Al-Rumaihi the amount of water dumped reached over 80mm in some areas while it usually never exceeds 30mm. 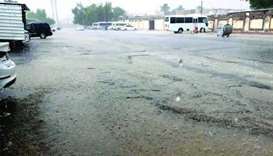 Areas such Abu Hamour, Maither, Al Rayyan and some areas of Madinat Khalifa received considerably high amounts of water. He stressed that the general situation is under control, and follow-up is going on around the clock. 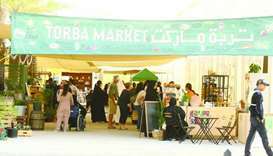 He said that Ashghal received more than 500 rainwater reports through the municipalities. 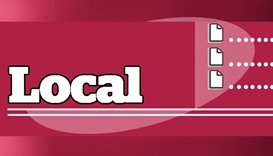 The tankers of the outskirts municipalities such Al Shammal, Al Khor, Al Wakrah and Al-Shehyaniyah were used to help in draining and transporting the water from inside Doha, which reflects the direct co-ordination among the different municipalities, Ashghal, the Ministry of Interior and other related entities. Dr Saad bin Ahmed al-Mohannadi, President of Ashghal, said that the amounts of rainfall in Doha this year exceeded those of the usual amounts every year. He said that co-ordination is going on with the Ministry of Interior and the MME a during the rain season through NCC. He said that Ashghal has co-operated with other service entities to do the necessary maintenance works in preparation for the rainfall, which has reduced the impact of such big amount of water. He added: “Ashghal is currently working on expanding the drainage network through the creation of a sea outlet as part of Mesaimeer tunnel project, which shall be accomplished in 2020. He said that the rainwater accumulation affected different areas including those with road works which drifted the soil and clogged up some drainage holes. 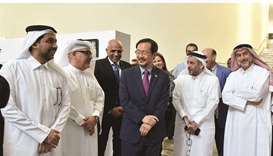 However, he stressed that Ashghal is working to put permanent solutions to the rainwater drainage system in the country, including Mesaimeer tunnel project which would be linked to 22 vehicle tunnels after the completion of the sea outlet. This would resolve considerably the issue of rainwater accumulations. Meanwhile, the Ministry of Education and Higher Education said Sunday will be a normal school day and there will be no suspension of studies, QNA reported. However, some schools will not be able to receive students on Sunday in order to carry out repair works. Qatar Foundation for Education, Science and Community Development said all its entities would remain closed on Sunday in view of the severe weather conditions. Sidra Medicine informed that the Outpatient Clinic will be closed for appointments on Sunday, excluding Paediatric Infusion and Hematology Oncology, and patients will be alerted via SMS. The US embassy in Doha said all Consular services and ACS appointments are cancelled for on Sunday due to the embassy’s closure.